Don't be deceived by the homes that surround Frost Woods on all sides. At nearly 100 acres, Frost Woods provides ample opportunities for short woodland hikes and easy mountain biking. Numerous trails criss-cross the park allowing easy access to all areas. From a natural history perspective, Frost Woods is part of the "Spotswood Outlier" an "island" of Pine Barrens type vegetation on very sandy soils. The "Spotswood Outlier" is separated from the main area of Pine Barrens that covers much of southern New Jersey. Frost Woods, like Jamesburg Park is a remnant of what was a huge area of Pine Barrens vegetation in southern Middlesex County and northern Monmouth County, much of which has been lost to development. Frost Woods also has rolling topography with large flats punctuated by higher areas and some short but moderately steep slopes. The vegetation consists of a canopy of mixed oaks including chestnut oak, red oak, black oak and white oak and pitch pine. Sassafras is common as a small understory tree and the shrub layer varies from open and park-like to dense. Common shrubs include lowbush blueberry, sheep laurel, black huckleberry and Mountain laurel. Catbriar, a stout thorny vine often called "living barbed wire" is also common in places. In many areas, especially near the center of the park, Mountain laurel forms dense evergreen thickets that are filled with white flowers in the spring. 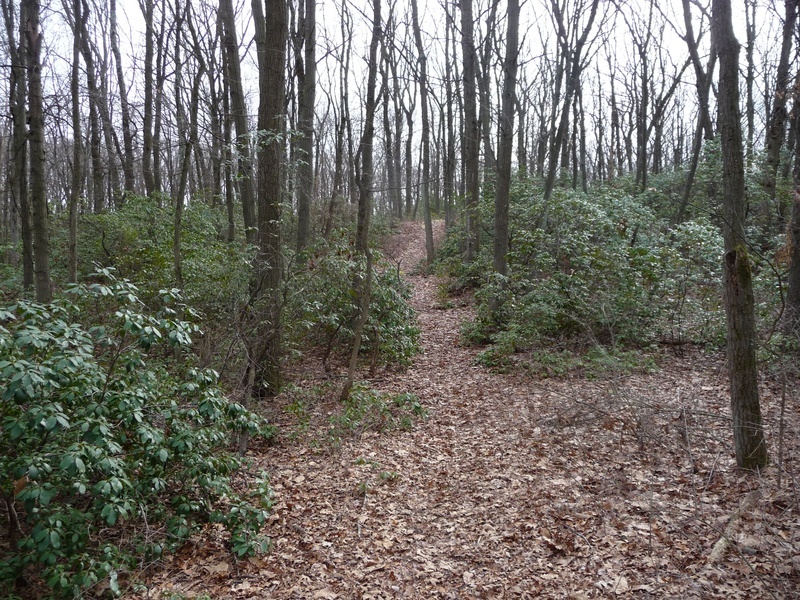 A walk through these areas when the Mountain laurel is in flower is well worth the short hike. Wildlife in Frost Woods is common but interesting and with searching is sure to yield a diverse list. Common birds include typical forest species such as red-bellied woodpecker, downy woodpecker, Tufted titmouse, chickadee, blue jay, towhee, Great crested flycatcher, Rose breasted grosbeak, Northern oriole, cardinal, White breasted nuthatch, Eastern Wood Peewee and Phoebe. Raptors spotted at the park include Red tailed hawk, Coopers hawk and Great Horned owl. Numerous snags and cavities also provide habitat for the Eastern Screech owl and the common but highly nocturnal flying squirrel. Other mammals expected to occur are gray squirrel, chipmunk, deer, opossum, raccoon, red fox, voles and mice as well as woodland bats. We are also aware of reports of coyote from the Frost Woods area. The many oaks in Frost Woods can also be productive for migrating warblers and other songbirds and make for an easy and very accessible local area to bird in late April and May for these species. The butterfly fauna while likely not very diverse can also be of some interest, particularly in the spring and summer, when Horace's and Juvenal's duskywings can be found along with other common woodland species such as Spicebush swallowtail, Eastern Comma, Question Mark, Mourning Cloak and Spring azure. 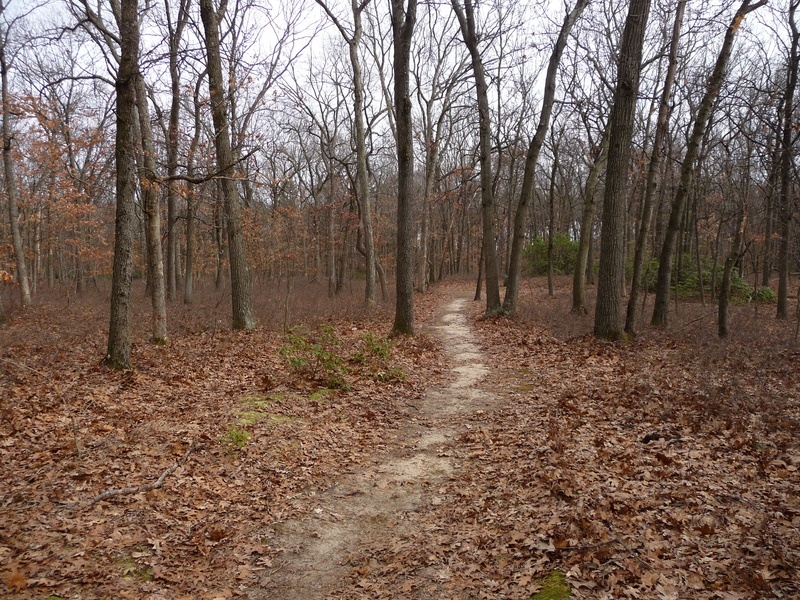 While Frost Woods may not be the most unique habitat, it does offer a large enough wooded area and interesting topography and vegetation coupled with easy access and an excellent trail system for that spur of the moment hike or mountain bike ride or when time is limited. It is a perfect place for hikes with children. Perhaps one of the nicest things about Frost Woods is that it is just large enough to get lost in the woods without getting lost.